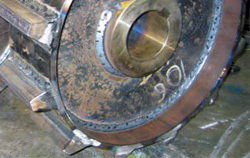 FOR THE PRODUCTION, REPAIR AND REFITTING OF MEDIUM TO HEAVY INDUSTRIAL PARTS. for construction, marine, power generation, mining, oil and gas, forestry, agricultural, and others industries. If you are an OEM, CWM will turn your blueprints or ideas into tangibles. 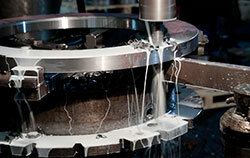 CWM is one of Canada’s most versatile jobbing machine shops. 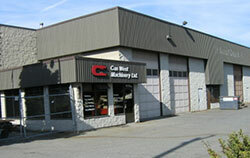 Located in Port Kells (Surrey), British Columbia, CWM offers 7500 square feet of available production space. Facilities are equipped with horizontal boring mills, lathes, milling machines, keyseaters, cranes, as well as MIG and TIG welding equipment and fabricating. CWM has been providing high quality, skilled, experienced, and reliable service in precision machining, fabrication and welding since 1983. Privately owned, Can West Machinery Ltd. has been providing high quality skilled, experienced, and reliable service in precision machining, fabrication and welding. 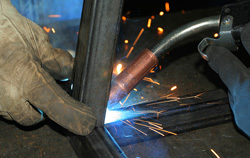 Our fabrication shop department offers a complete range of welding equipment and tools (GTAW, and GMAW, – stick, and wire feed). CWM is experienced in working with ferrous and non ferrous metals, polymers, and composites in the production of medium to heavy parts. CWM has been custom manufacturing, fabricating and welding equipment, structures, and components for many years in diverse industries. Copyright © 2013 CWM - Can West Machinery Ltd. All rights reserved.